Pronation is a natural anatomical movement that is necessary to occur during both walking and running which helps to provide adequate shock absorption to the foot. How Can I tell if I Over pronate ? 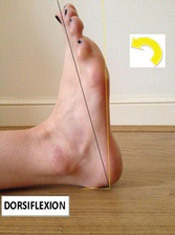 Firstly, look at your feet in standing, have you got a clear arch on the inside of the foot ? If there is not an arch and the innermost part of the sole touches the floor, then your feet are over pronated. Secondly, look at your running shoes. If they are worn on the inside of the sole in particular, then over pronation may be a problem for you. Thirdly, try the Wet foot test. 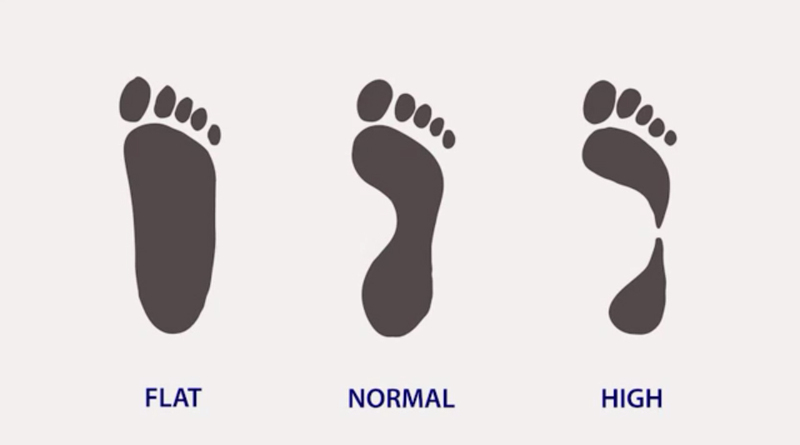 A normal foot will leave a print of the heel, connected to the forefoot by a strip approximately half the width of the foot on the outside of the sole. 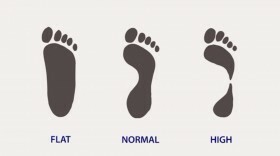 If you’re feet are pronated there may be little or no distinction between the rear and forefoot. Around 98% of all foot injuries are related to an excessive amount of pronation. The image below shows someone who over pronates when standing, The left foot is rolling in. This in turn causes the lower leg to turn inwards which places the knee out of alignment which can cause the low back and pelvis to tilt forwards. This foot can be corrected with an orthotic device which controls the excessive pronation and reduces inward rolling of the knee and a forward tilt of the pelvis and low back.